Conference participants sit on a log trying to work through a team-building exercise during the Celebrating Women conference. 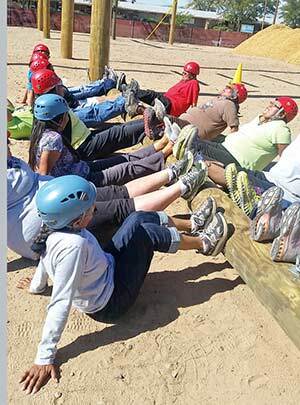 Conference goers finally work through their team-building exercise after being told their feet can't touch the floor. For participant Eleanor Smith the exercise forced them to start thinking outside the box. The term “sister” can form a strong bond between women. 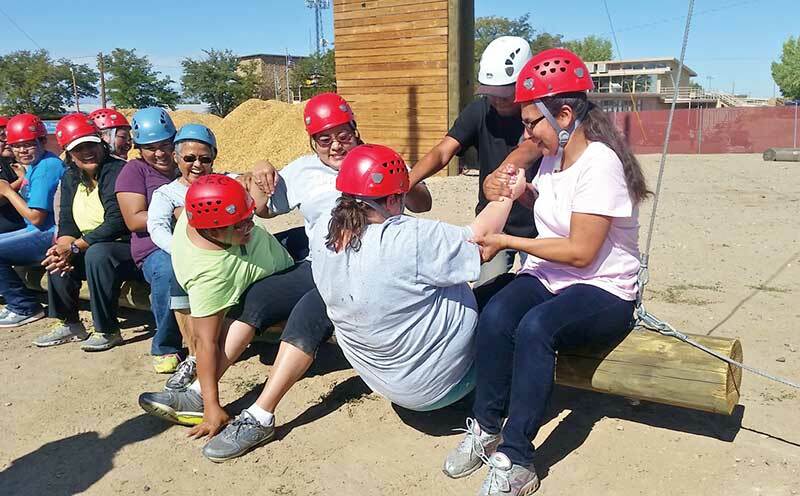 Sisters in Circle, a women’s support group, wanted women to feel that bond of sisterhood through their sixth annual Celebration of Women conference at the Northern Navajo Medical Center on Sept. 26. Rev. Shirley Montoya said the conference is a way to give something to sisters in the community and to let them know that her group is here to provide support and opportunities. “It’s for the sisters at home to get away for a day to enjoy themselves,” Montoya said. It’s always good to see one another laugh and forget all the negative, she said. “It’s really just sisterhood,” she added.